So, Skindred return with another fantastic addition to their increasingly interesting repertoire. After the extremely popular “Kill The Power” and “Union Black”, it really shouldn’t have been possible to create a piece of work that could top them. Yet, I think they’ve done it. “Volume” is a stunning piece of work, mixing in just the right amount of elements from reggae, metal, punk and electronica; it feels so familiar to their previous work and at the same time it manages to have it’s own identity. The album opens with some funky riffs and tight lyrical flow that grabs you straight off of the bat. “Under Attack” and “Volume” are catchy lead-in singles and do well to show off the album’s best moment and the best thing is Skindred almost make it look effortless. They’re just one of these supremely consistent bands that make it look easy. The full time addition of the electronica sound, provided by Dan Sturgess, just creates more avenues for Skindred to go down. As the album progresses Skindred continue to mix it up. The album goes in every direction the band can afford, making it so catchy, heavy, funky and fun, you really don’t have a choice but to groove to the sounds that float around. Not every song hits an absolute bullseye, mind you. The album can wear on you a little. These are not bad songs, far from it, but I feel towards the latter half of the album the music loses something. Maybe I have just become too accustomed to their sound and the later part of the album becomes a little too familiar. However, a lot of their songs do have a habit of growing on me over the years, so I can’t really mark it as a strike against the record. Ask me about this in 2017 and this maybe my favourite album. Skindred try everything to make this album impactful and it does work, they mix all of their sounds and influences into their songs and make them consistently interesting. 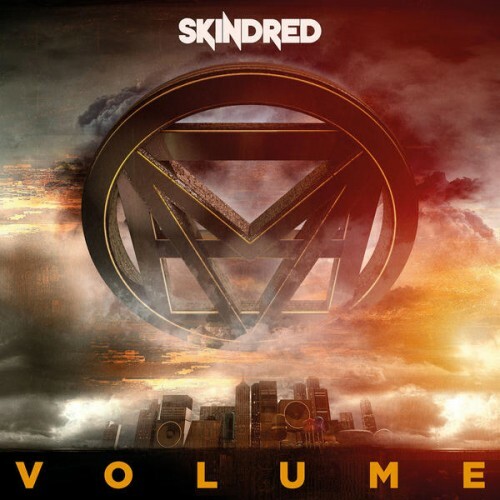 “Volume” is just awesome, honestly some of the best stuff Skindred have written in years. It has those mixed styles of “Kill the Power” whilst still having that fire and intensity of Babylon. I definitely recommend this album to anyone. It’s fun, interesting and has a wide enough mix of styles to appeal to any fan of rock and metal. Songs like the title track “Volume”, “Sound The Siren” and “Shut Ya Mouth” are my personal favourite tracks so far and the songs you should check out. For their sixth effort, Skindred show no sign of slowing down anytime soon. They’re still interesting and they still sound like they’re having fun. Definitely one to check out. Hannah- Hi guys! So we saw you performing on the New Blood stage earlier. You’ve got a very unique sound; I know unique gets bandied about a lot! I was thinking earlier, normally when you get a female fronted band, they either have the Nightwish style operatic vocals or the Angela Gossow manly vocals. Whereas Tarin has a very femine, harpy sort of sound. Tarin- Banshee! That’s what I’ve been compared to! Hannah- So, given that you have this very feminine front to you, how would you describe your sound? Tarin- I don’t put on a voice, I just sing with my natural voice. The screaming is just something that I found that I could do, and it’s a very high pitched scream. I just love that. It’s two elements of the voice coming together; where you have a really singular note and then a rattle behind it. Hannah- Yeah, it really adds to the emotion of your songs. Some of them have a really groovy bit, and when I was watching your set, I was reminded in places of Tool and similar bands. Tarin- You noticed that? That’s insane, because we’re big Tool fans, but we also love lots of other genres, and lots of different bands within the metal scene. We started off as a prog rock band! And then we got heavier, and heavier, and heavier; the second guitarist left because we got too heavy! Then we ended up with the sound we’ve got now. Hannah- Ah, so obviously Tool and proggy stuff are some of your main influences; who else would you say are big influences on you as a band, and as artists? Tarin- Yeah, Soundgarden, everything like that. And then we’re metal fans, stuff like Metallica. Nick- I’d say Faith No More is a really big influence for me. Tarin- Oh, yeah in terms of vocals, he’s my hero. I want to be able to do everything he can do. Hannah- I liked your range. I know you didn’t have a very long set, but the range of all your songs and stuff, and you’ve got your single and your album coming up… Do you like to ensure you have that? Without trying to haphazardly put it all together, yours seems to flow really well. Do you try to put the many faces of Sanguine on record? Nick- I think the joy with Tarin is you can always recognise her voice. It gives us a lot of license to play around with different genres. Our default setting is heavy; but that’s more to do with us just happening to be heavy. Tarin- We didn’t set out and say ‘Let’s go and be a metal band!’ We just set out and said ‘let’s create some sound’; it all happened very naturally. Hannah- You can tell that, definitely. Hannah- So, is Bloodstock the biggest thing you’ve done? Tarin- In terms of festivals, yeah. Professionally, the biggest thing I’ve done is work with Adrian Smith, which was a big honour. But in terms of gigs? Yeah. Nick- We’ve also played with some pretty big bands, like Pitchshifter and Skindred, Evile; all sorts of bands. That’s been really good fun, ‘cos you get to perform, and then watch them afterwards! Hannah- I guess the good thing about playing with such diverse bands like that, and with festivals like this, is that you get exposure to alot of people that might not look at you and want to pick up a CD. Tarin- We appeal to all ages and all backgrounds. Our influences are quite eclectic, and with Faith No More being such a big influence… That’s eclectic in itself, with what they did with that project. I think we just want to make songs. We want to continue a theme of ‘let’s write a driving song’ and producing a song that you want to play when you’re driving your car. Hannah- I think that’s a good theme and a good formula to have. Thanks for your time, good luck with the single and the album! Sanguine’s single, For Love, is released on October 3rd. Their as yet untitled album is due for release in January 2012.